Population dynamics is what lies at the core of any economy (well, most of the time anyway). This is nothing new. Over the past 10 years, global GDP/Capita has grown by more than 40%. A major driver for this trend was the rise of a middle class in emerging markets. The key question is: with an even higher population growth, will the frontier markets see an even stronger GDP/Capita growth during the next decade? 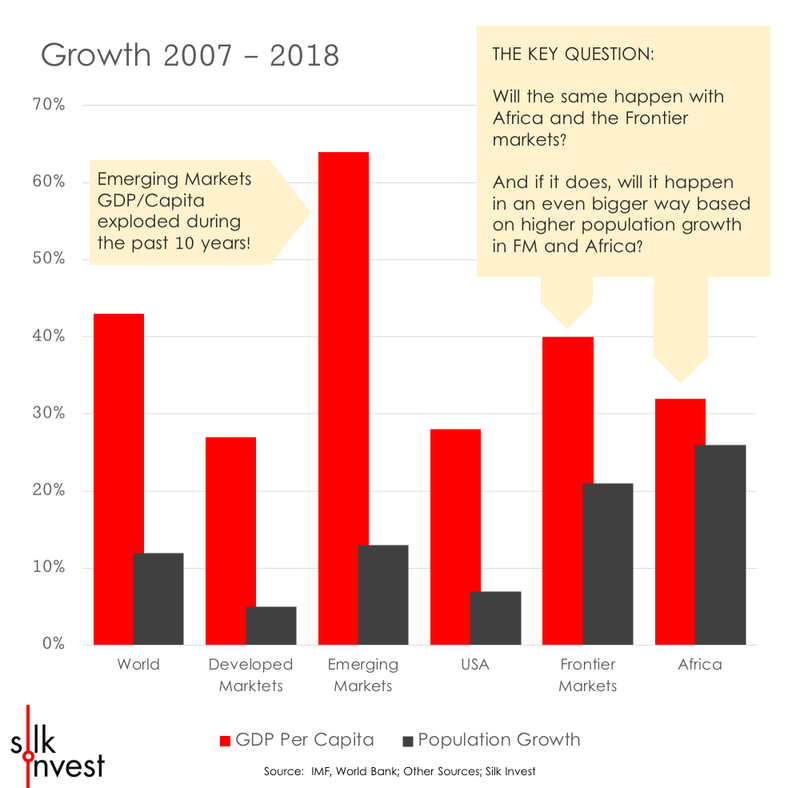 So the main idea is that if emerging markets recorded more than 60% growth in GDP/Capita with ‘only’ 10% population growth, what can the potential be for Africa and the Frontier Markets with twice the demographics?